The Alpine Club of Canada (ACC) is this country’s national mountaineering organization. It was created one hundred years ago in Winnipeg, Manitoba. The club’s earliest and greatest achievement was the exploration of the Canadian Rockies. Arthur Oliver Wheeler and Elizabeth Parker founded the club in 1906; from its inception, they held it was the purpose of the Alpine Club of Canada’s activities that was important, not just the activities themselves. Their lofty vision was that the creation of a national mountaineering culture would serve to help make Canadians better people through their experience with and appreciation of their mountains. The club’s achievements began with the offering of mountain adventure; one hundred years later, we discover that their vision led to major national contributions to geography and cartography, science, land use and conservation, mountain literature, art and photography, and history. The Alpine Club of Canada’s centennial legacy has become a major contribution, achieved gradually and cumulatively, to a unique Canadian alpine identity through which the rest of the world now knows us. Alpine Club of Canada members didn’t just talk about climbing, they did it. From the outset, it was clear that climbing was the heart of the club. The camps would be its soul. 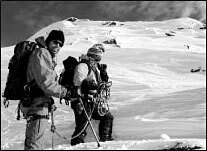 Consistent with the club’s vision, the membership management encouraged neophytes to learn the basic techniques from their resident mountain guides and expert leaders. As a result, the club’s Annual General Mountaineering Camp became an institution. Over time, the club developed an extensive huts system, the very body of the club. Even before that system was completed, though, many of the preliminary goals of the club had already been achieved. A.O. Wheeler recognized from the outset that climbing in itself was not purpose enough to make the fledgling club relevant in the public imagination. 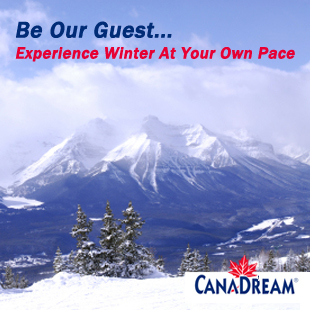 The club needed the help of scientists, writers, and artists to create an accurate picture of the glory of Canadian peaks in the minds of Canadians. Canadian mountains should not just be a gymnasium, Wheeler argued, but also a classroom. Arthur Wheeler believed that it was a mountaineer’s duty to know everything they could about the landscapes through which they travelled. A special clause in the membership bylaws allowed non-climbers to become active members without climbing a peak, provided they had contributed significantly through their work to knowledge and appreciation of the alpine. 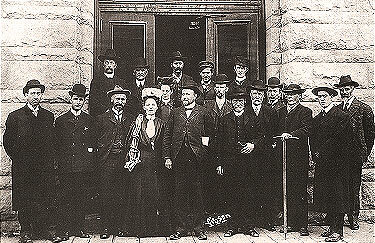 Alpine Club of Canada founders in Winnipeg in March of 1906. Alpine Club of Canada collection, Whyte Museum. The original purpose of the Alpine Club of Canada, and the reason for its scientific focus, was the great uncompleted task of clearly defining the Canadian alpine. When the club was formed in 1906, there were still 20,000 to 25,000 square miles of unknown mountain terrain in the southern Rockies of Canada alone. According to surveyor and mapmaker Arthur Wheeler, the need to define these blank spaces was reason enough to create an Alpine Club in Canada. Right from its inception, the Alpine Club of Canada announced that one of its principal roles was to champion the expansion of the national park system and to promote appropriate use in mountain regions throughout the country. Wheeler’s role in the mapping of the mountain West provided him huge influence on federal land use policies, an influence he made sure the ACC shared. As the club’s membership grew and members became familiar with the country’s mountain regions, the ACC became the country’s first national lobby for conservation. The founders of the Alpine Club of Canada recognized the importance of both writing and records to the building of the foundation of alpine appreciation in Canada. One of the Club’s first tasks was to create a journal of record for Canadian mountaineering, mountain science, photography, and art. Only a year after the club’s formation, it published the first volume of the Canadian Alpine Journal. It did so to prove, right from the outset, that the Alpine Club of Canada was a serious, wellorganized, and highly ambitious project — a new spirit of alpinism in Canada. Even if you lived in a distant flatland city, you could be part of this culture. All you needed to belong was a subscription to the Canadian Alpine Journal and a desire to climb the heights. The Alpine Club’s strong support of mountain art and photography was established from the outset of its formation. Club membership over the last century has included some of the country’s greatest artists; some of the best alpine photography in Canada has been published in the Canadian Alpine Journal. Through a century of accomplishment, the Alpine Club of Canada has helped create an inter-generational appreciation for this country’s mountain regions. It has also built a foundation of leadership and training that allows Canadians to understand and appreciate our mountains and to share them safely with visitors from all over the world. By way of these achievements, Canada is recognized around the world for its unique mountain places and remarkable mountain culture, and it all began here in the National Parks of the mountain West. R.W. Sandford is the Vice-President of Mountain Culture for the Alpine Club of Canada. Copyright © CMI Publishing 2019. All Rights Reserved.